In today’s world, we often watch video through services like YouTube, Netflix, or iTunes. While all of these products are somewhat different, they have one thing in common. It is the fact that they are based on streaming video. Internet speeds have gotten so fast that we can simply stream large video files without needing to have physical copies of that video. That said, there may come a time when you cannot rely on streaming video. Instead, you may want to take a video and burn it onto a DVD. Whether you are seeking to burn a DVD for business or for pleasure, there are many pieces of software that can help you with this task. However, you may be wondering about the best DVD burning software. We have your back. Below are some of the best DVD burners that you can find on the internet. As always, these DVD burners are not ranked in any particular order. Rather, it is a simple collection of the best free DVD burning software that you can leverage. Whether you choose to leverage one (or several) of these programs, we are confident that you will be able to quickly and effectively write any video to a DVD. 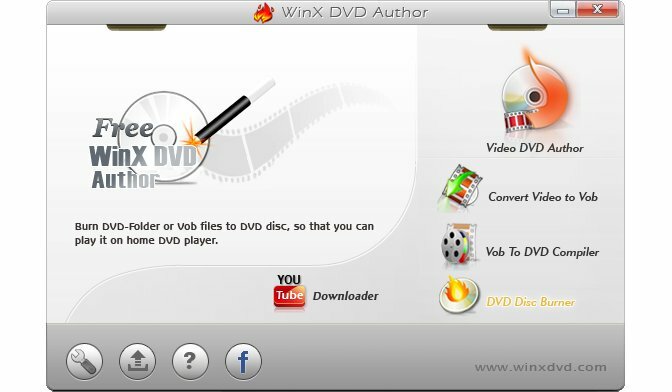 WinX DVD Author is a DVD burner that is available for PC. Specifically, it is available for Windows 10 and lower. 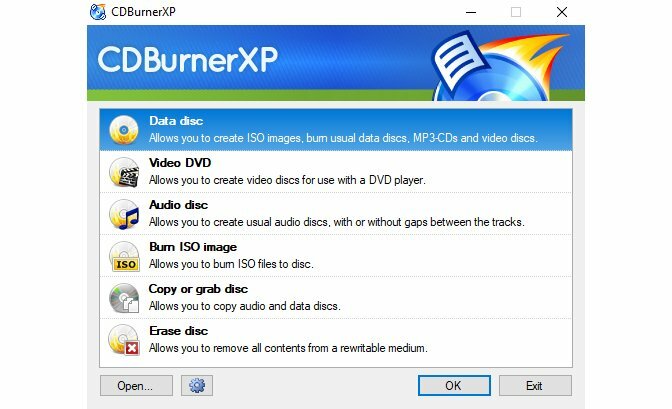 This DVD burner allows users to burn several types of video files to a DVD, which include MP4, MKV, AVI, and other files. In fact, WinX DVD author even lets users make DVDs with personalized DVD menus, create subtitles, set aspect ratios, upload background music, and leverage other useful elements. To get started with WinX DVD Author, all you need to do is download and install the software. WinX DVD Author does not include extras bundled into the installer or any advertisements within the user interface. By using this software, WinX DVD Author claims that you can burn a full 4.3 gigabyte DVD within one hour. Ultimately, this software has a straightforward, easy interface, meaning that users without any experience will be able to easily burn any DVD. 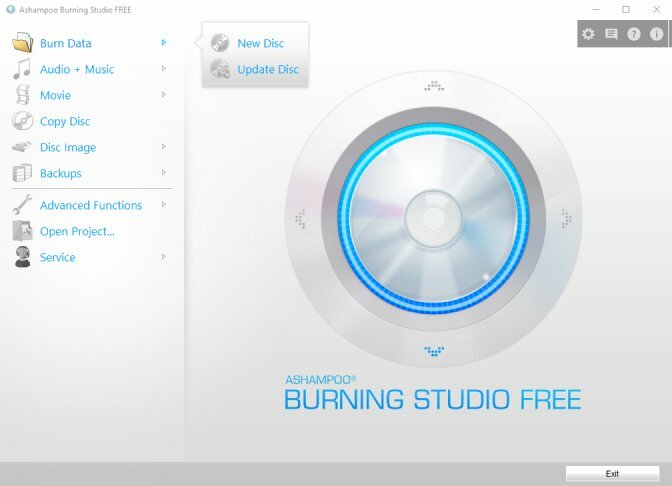 AShampoo Burning Studio Free is another DVD burner for Windows devices. Your computer must be running at least Windows 7 to use this software. Like WinX DVD Author, you simply download and install the software to get started. AShampoo Burning Studio Free lets you burn existing videos (like MP4 files), photos, and even movies. If you are looking to burn a movie, this software allows you to burn HD (720p) and full HD (1080p) movies to a disc. Whatever video you choose to burn, AShampoo Burning Studio Free allows you to burn the video to CD, DVD and Blu-Ray discs (including rewritable discs). If you are concerned about security, AShampoo Burning Studio Free has your back. It contains password-protected backups and built-in compressions to keep your file sizes small. While AShampoo Burning Studio Free is the free version of the software, you also have the option to invest in a paid version of the product, which contains even more features (like scratch protection). BurnAware Free is another DVD maker. With BurnAware Free, you can leverage a clean user interface to burn high-quality ISO videos. The software contains a very stable burning process and does not require much CPU usage from your computer. Some of the more advanced options offered by BurnAware Free include BOOT settings, UDF partition and versions, ISO levels and restrictions, byte by byte verification, and disc spanning. The software also covers all daily burning tasks like backup, erasing, data recovery, and audio track extraction. By using BurnAware Free, you have the ability to write not only burn videos, but also digital photos, archives, and documents. In addition to BurnAware Free, there are two additional editions of the software. While they are not free, they offer additional features for both personal and commercial use. That said, all versions of BurnAware Free are multilingual and work with Windows devices. AnyBurn is another free solution if you intend to burn a DVD. Compared to the prior DVD burners, AnyBurn is lighter software that simply gets the job done. 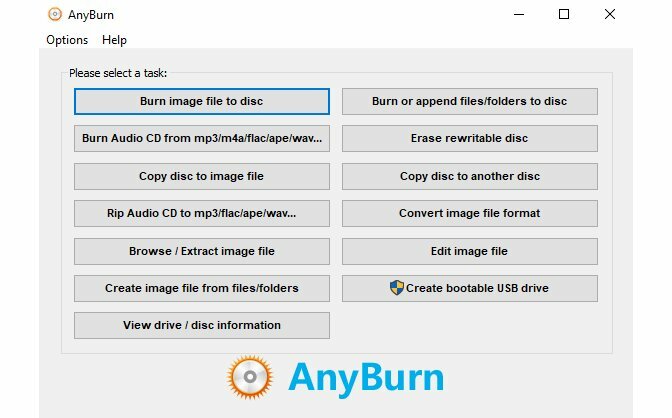 Using AnyBurn, you can burn a video to CDs, DVDs, or Blu-Ray discs. 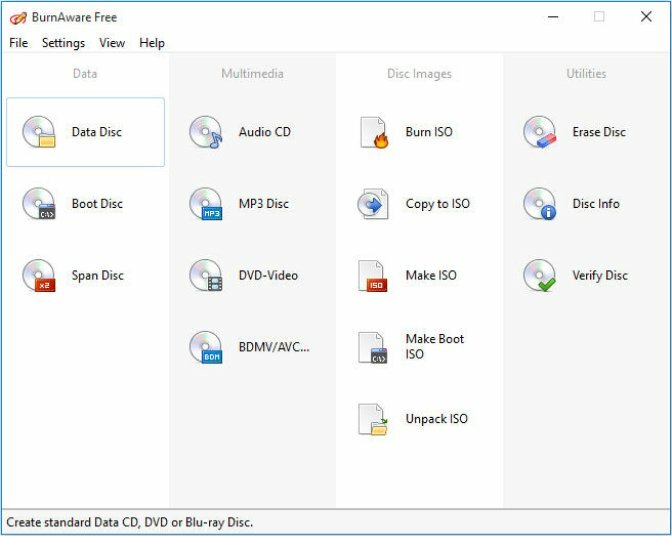 In addition to this simple feature, AnyBurn presents you with additional options, including copying discs using the sector by sector method, creating a bootable USB drive for Windows or Linux devices, and backing up or adding files and folders to DVDs, CDs or Blu-Ray discs. AnyBurn is intuitive, easy-to-use software. That said, the software creators have also provided several helpful guides in case you are having trouble burning a DVD. AnyBurn is completely free for both personal and commercial use and it supports devices running Windows 7 and up. Finally, CDBurnerXP is another DVD creator. Like AnyBurn, CDBurnerXP is lighter, yet powerful software. The key features within CDBurnerXP are similar to the burners already mentioned. You can not only burn video to DVDs, but you can also burn to CDs, Blu-Ray discs, and HD-DVDs. Along with this, some other features within CDBurnerXP include a multi-language interface, the ability to burn and create ISO files, and data verification after the burning process. CDBurnerXP is for Windows devices. You can even use CDBurnerXP if your device is running Windows 2000. You simply download and install the software to get started. If you have any questions on using CDBurnerXP, you can access the CDBurnerXP forum, which will address any questions that you may have. By leveraging any of the five products above, you will be able to successfully (and easily) burn video to a DVD. Depending on the circumstance, this may be a critical task—whether it is in your personal or professional life. Whatever the case may be, you can confidently use any of these DVD burners to complete this task. 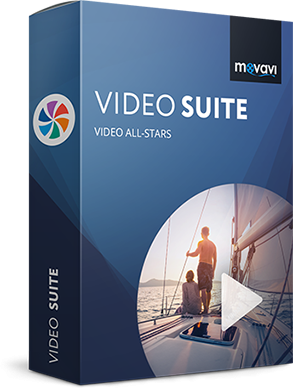 If you are interested in another alternative to the DVD burners listed above, we invite you to check out Movavi Video Suite. Movavi Video Suite not only allows you to burn videos to DVDs, CDs, or Blu-Ray discs. You can also record your screen, edit videos, convert media files, and leverage countless other features. To learn more about the program and how it can help you, click the More about the program link below.